**From the Express Bus Terminal, When you leave the terminal, turn left and go straight toward the nearest intersection. There is an NH Mart(supermaket) at the corner. Please do not cross the road.Turn left at the intersection. Walk straight until you come to a mini Hyundai Car Dealership (not even 5 mins away). Turn left at the Hyundai sign and you will see a cafe called 'Sleepless in Seattle'. We are right beside that cafe. You will then see the Nahbi Guest House sign. Go under the sign, through the little pathway, up the stairway on your right, and come on in. **From Train Station, 1) It takes about 20 mins to walk.When you come out of the train station, there is three way intersection. Walk straight ahead towards the Jung-Ang Market intersection (about 15 mins). At the Jung-Ang Market Intersection, turn left. Keep walking until you come to an intersection with Paris Baguette, Olleh, and a mini Hyundai Car Dealership. If you're on the same side as Paris Baguette, cross the road towards the Hyundai sign, and keep walking straight, towards the 'Sleepless in Seattle' Cafe. We are right beside that cafe. You will then see see the Nahbi Guest House sign. Go under the sign, through the little pathway, up the stairway on your right, and come on in. 2) By Bus from the train station and costs 1,200 per person and takes about 2-3 mins.When you come out of the train station, there is three way intersection. On the right side there is the Seongdong Market and in front of the market there is bus stop. Take one of the buses listed below. no. 234, 207, 212, 202, 206, 201, 208, 205, 217, 260, 70, 51, 270....Get off the bus at the Jung-Ang market bus stop. Right next to the market builiding, there is a soup restaurant and pharmacy. If facing the soup restaurant/pharmacy, walk right, towards the intersection with Paris Baguette, Olleh, and mini Hyundai Car Dealership. Turn right at the Hyundai sign, and you will see a cafe called 'Sleepless in Seattle'. We are right beside that cafe. 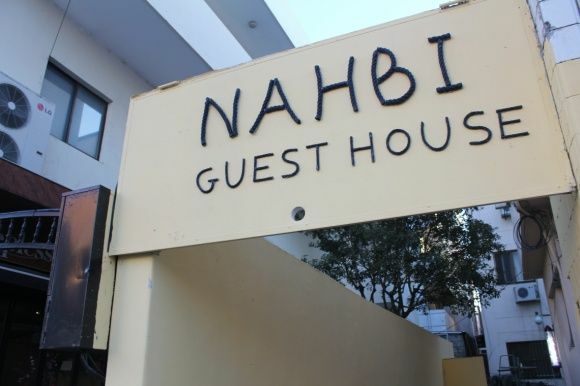 You will then see the Nahbi Guest House sign. Go under the sign, through the little pathway, up the stairway on your right, and come on in. 3) By Taxi-It takes about 2 mins and costs 2,200 (basic fare) Please show this to the taxi driver '???? ?????' (It means Hyundai Car Dealership around Jung-Ang market) or give us a call. We will give the taxi driver the exact directions. When you get out of the cab, at the intersection with Paris Baguette, Olleh, and a mini Hyundai Car Dealership. 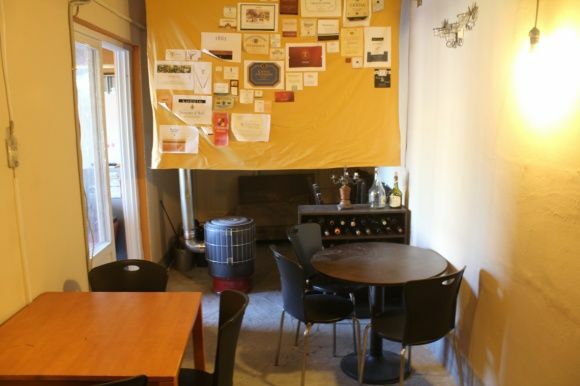 Turn down the street with the Hyundai sign, and you will see a cafe called 'Sleepless in Seattle'. We are right beside that cafe. 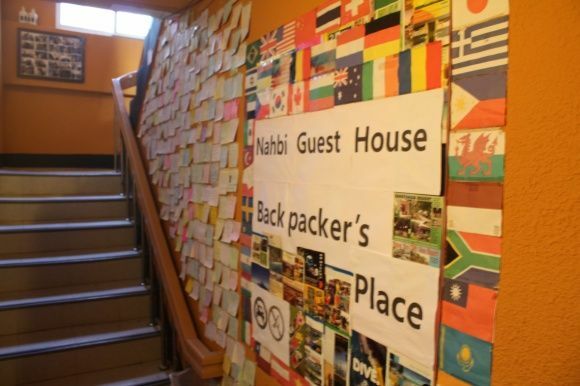 You will then see the Nahbi Guest House sign. Go under the sign, through the little pathway, up the stairway on your right, and come on in. **Bus From Singyengju KTX Station, Please take a bus no.50 or 51 and get off the bus at the Jung-Ang market bus stop. When you get off the bus, walk right, towards the intersection with Paris Baguette, Olleh, and mini Hyundai Car Dealership. Cross the road at the Paris Baguette, and keep walking straight, towards the 'Sleepless in Seattle' Cafe. We are right beside that cafe. You will then see the Nahbi Guest House sign. Go under the sign, through the little pathway, up the stairway on your right, and come on in.